This repository contains a Van Emde Boas tree written in D. It operates on unique integer keys. Thomas H. Cormen, Charles E. Leiserson, Ronald L. Rivest, and Clifford Stein. Introduction to Algorithms, Third Edition. MIT Press, 2009. ISBN 978-0-262-53305-8. Chapter 20: The van Emde Boas tree, pp. 531–560. auto root = vebRoot(unpredictableSeed); // create the tree structure. 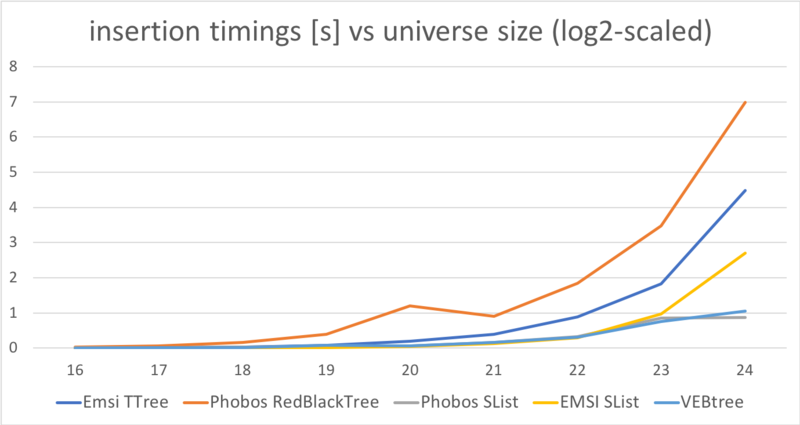 An evaluation of the library shows very good performace compared to the Phobos Red-Black tree and the TTree of EMSI containers. 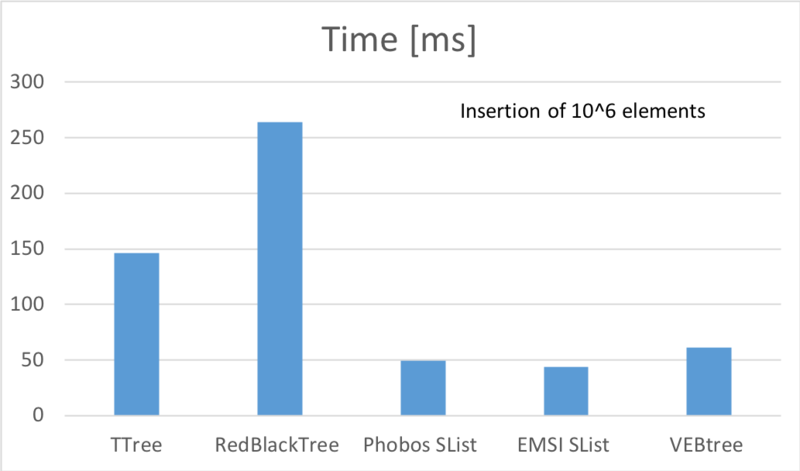 The tree can be expanded to contain all key up to uint max. The construction lasts appropriate time for this, however, all operations remain fast. Copyright: Copyright (c) 2016- Alexander Orlov. All rights reserved.